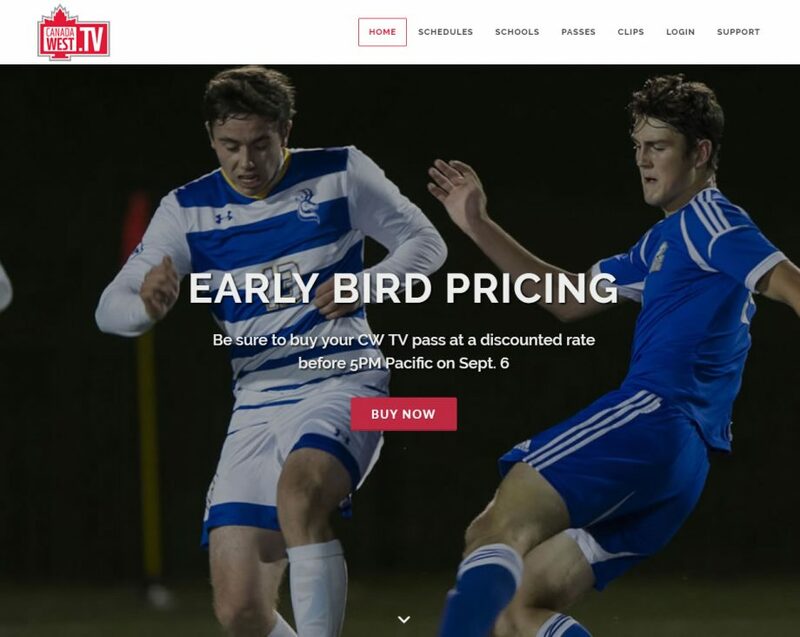 August 24, 2017 Surrey, BC – Yare Media Group Inc. announced today the successful launch of a revamped Canada West streaming service for the 2017-2018 season. Developed in collaboration with Canada West – the governing body for university sport in Western Canada – the CanadaWest.tv service will deliver over 1,100 sporting events produced by 17 schools across British Columbia, Alberta, Saskatchewan, and Manitoba. The first regular season games are slated for Friday, when the 2017-18 CW men’s soccer season kicks off. The new Canada West streaming service is offered in a responsively designed interface specifically designed for easy navigation on handsets. New features for the 2017 season include quad screen viewing (on PC and tablet) and condensed game viewing for football. Fans with Chromecast and Airplay technologies can display games in HD on their large screen TVs. The site is at http://www.canadawest.tv. Fans buying before September 6th will receive a 20% discount on the ALL-ACCESS, SCHOOL and SPORT PASSES. With staff in Vancouver, Toronto, and Austria, Yare helps media properties develop global revenue streams. Yare addresses changing content distribution models in sports, broadcasting and entertainment. The company focuses on helping media properties to implement market strategies that generate new over-the-top (OTT) digital revenues and help grow their audience and brand. Yare offers enabling platforms, transcoding, transaction processing, content delivery services, syndication and casting technologies for organizations wanting to deliver high quality video experiences. Clients include: Rogers Sportsnet, Magnabet, ORF, Turtle Entertainment, SAT1, Nintendo, Austria Press Agentur, the Canadian Football League, the United Nations, and Microgaming. The website is at www.yaremedia.com.